SkattJakt II is a continuation of the original TaxCapDev-prosjekts, in addition to Tax Justice Network Norge now being included in the network. For the SkattJakt II period, Tax Justice Network Norway (TJN-Norway) will be joining our team. The goal of TaxCapDev is to create new knowledge on the challenges that tax havens and capital flows represent for developing countries. As this is one of TJN-Norway’s main focus areas, our goal is to increase our outreach ability by linking TaxCapDev and TJN-Norway together. “TJN-Norway has over a period of time had research and education institutions, especially students, as a target group of our work. We supervise around 30 students annually, mainly concerning master papers. Research dissemination regarding tax, tax havens and financial secrecy are also key areas of our work, which our published book “skjult” exemplifies. A collaboration with the TaxCapDev network is therefore natural to us. 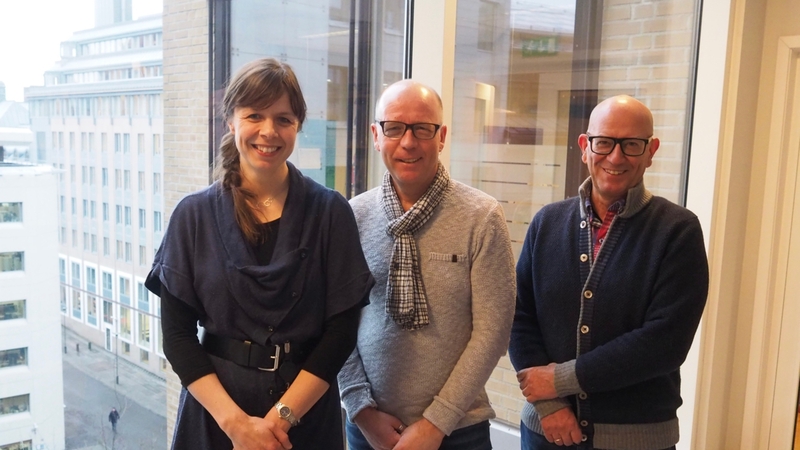 It will strengthen our existing work and at the same time connect us closer to the leading environments in the research field in Norway and internationally”, says Sigrid Klæboe Jacobsen, Director of TJN-Norway. The network will work together on several arrangements with a common goal to promote research and the information spread of international tax challenges. One of the network’s main arrangements this year will take place during “Arendalsuka” in August. NUPI, CMI and Tax Justice Network Norway are arranging an event which will discuss Norwegian tax policy and developing countries. The panel will consist of several representatives from the network, together with other relevant actors, such as NORAD and politicians. Questions like “What type of leadership and priorities should Norway undertake in the international tax field” and “How can Norwegian tax law and transparency affect developing countries?” will be discussed in the event. Kasper Hoffman will be visiting NUPI on the 4th of April. He will hold a presentation about his work on taxation and public authority in DR Congo. In DR Congo the armed groups use of taxation is vital in legitimizing their role as public authority, he argues. The EADI-conference will also be held in August. EADI is The European Association of Development Research and Training Institutes, and their general conference is held every three years. This year it will be arranged in Bergen 21-23 of August. There will be a panel on resource extraction and taxation in Africa. Two of the network’s researchers, Morten Bøås from NUPI and Odd-Helge Fjeldstad from CMI, are co-arranging this. We look forward to the SkattJakt II period ahead and to a fruitful collaboration with Tax Justice Network Norway.